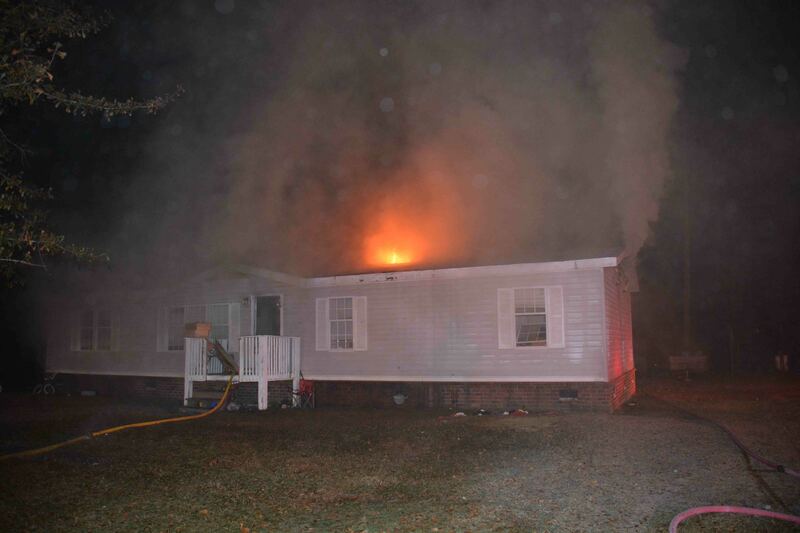 A Red Root Community family was displaced following a structure fire Sunday morning 30-November. At 9:42, Fire-Rescue was notified of the fire at 1015 Red Root Road. Engine 18 arrived to find heavy smoke visible from the doublewide mobile home. Firefighter-Paramedics deployed two 1-3/4 handlines and quickly contained the fire to the master bedroom saving the building. Click here for more information. 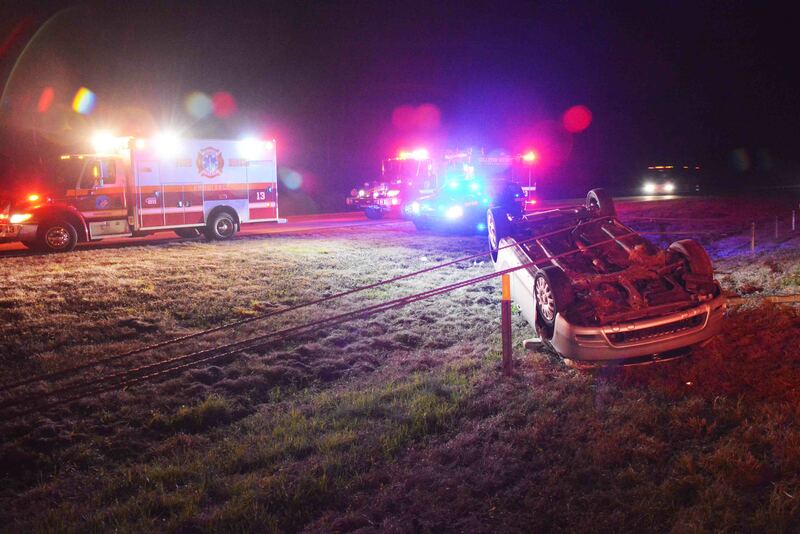 One of many accidents on Interstate 95 over the holiday weekend, resulted in an over-turned vehicle near the 46 mile marker northbound Friday evening 28-November at 22:34. The car left the roadway and flipped over on its roof in the median. The 26 year old Mount Pleasant woman received multiple non-life threatening injuries. Click here for more information. 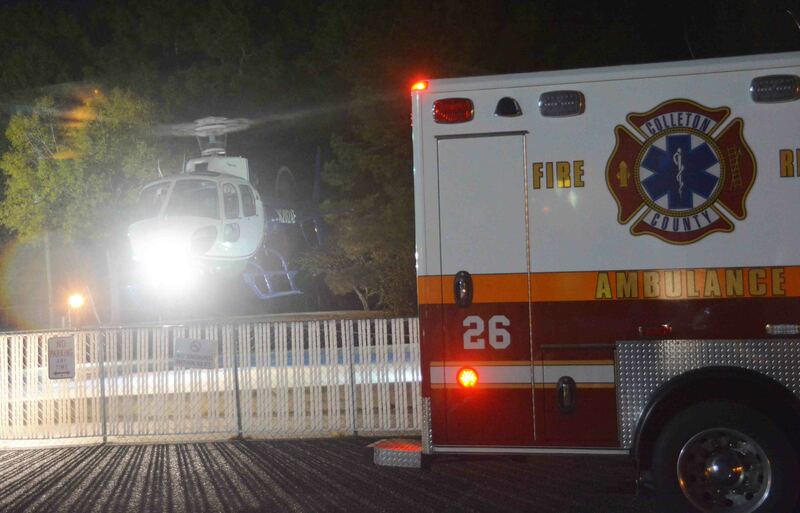 A 17 year old Marietta Ga teenager was injured Friday afternoon 28-November in a hunting accident. The incident was reported at 13:59. He and his party were on an island off of Bennetts Point hunting for deer when he was struck in the chest by what is believed to be buck shot. The pellet struck him in the upper chest, but was stopped when it hit his clavicle (collar bone). Click here for more information. 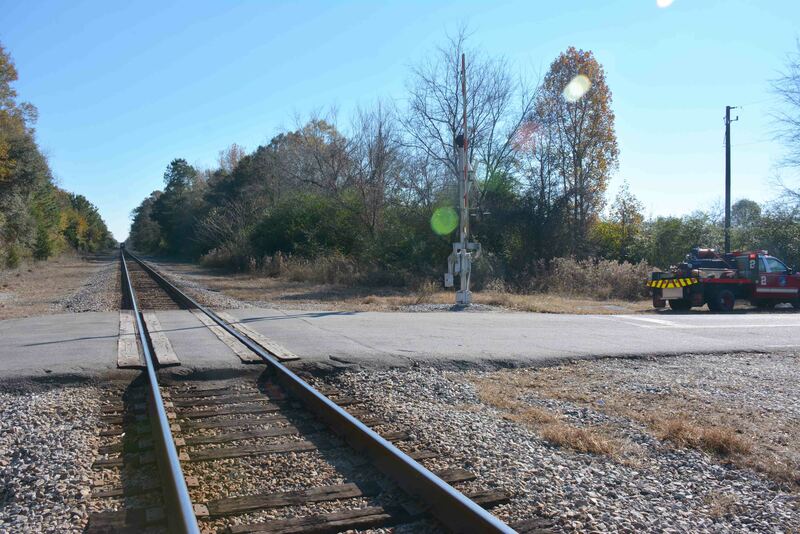 A northbound Amtrak train collided with a utility trailer after a pickup truck reportedly drove around the crossing gates on Hope Plantation Lane Friday morning 28-November. The accident was reported by CSX Railroad at 09:37 advising the passenger train struck the trailer at the marked crossing. This was the second collision between a vehicle and an Amtrak train in the last five months in Colleton County. Click here for more information. 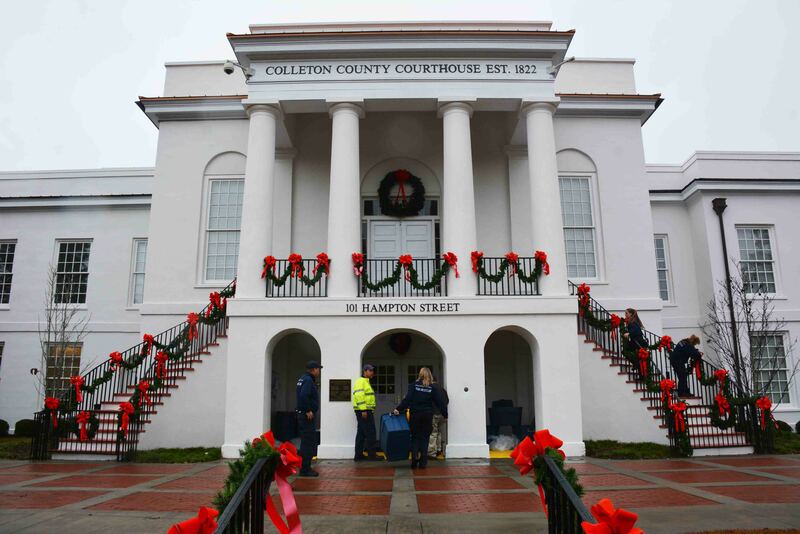 Firefighters assisted Clerk of Court Pat Grant with decorating the Courthouse for the upcoming Christmas holidays. Firefighter-Paramedic Pam Berry directed the crews. Berry has guided our department with the project for the last six years. 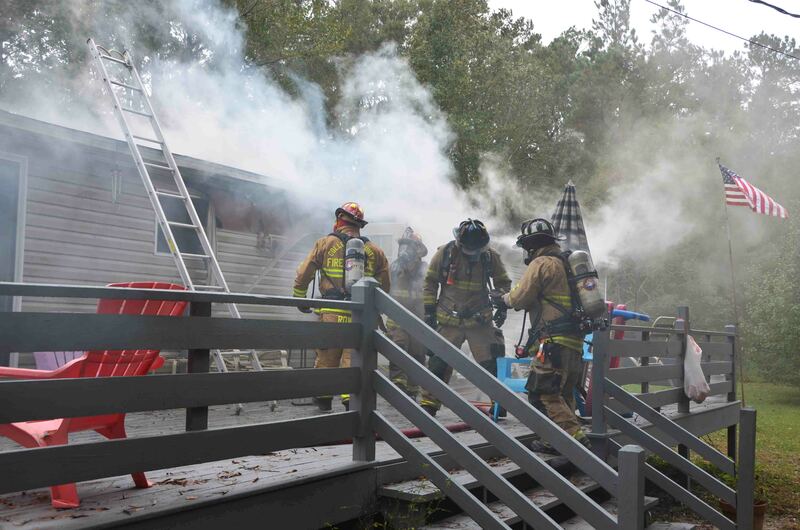 Several off-duty personnel, along with Medic 1, Rescue 1, Engine 1 and personnel from the Fire Marshal’s Office assisted. Click here for more information. Big G’s Fishing Club, located at 4688 Can City Road, was heavily damaged by a fire Tuesday evening 25-Nov. At 18:01, a neighbor noticed smoke and flames coming from the roof of the one story structure. Engine 26 arrived within minutes to find heavy smoke conditions and flames coming from the roof of the building. Click here for more information. 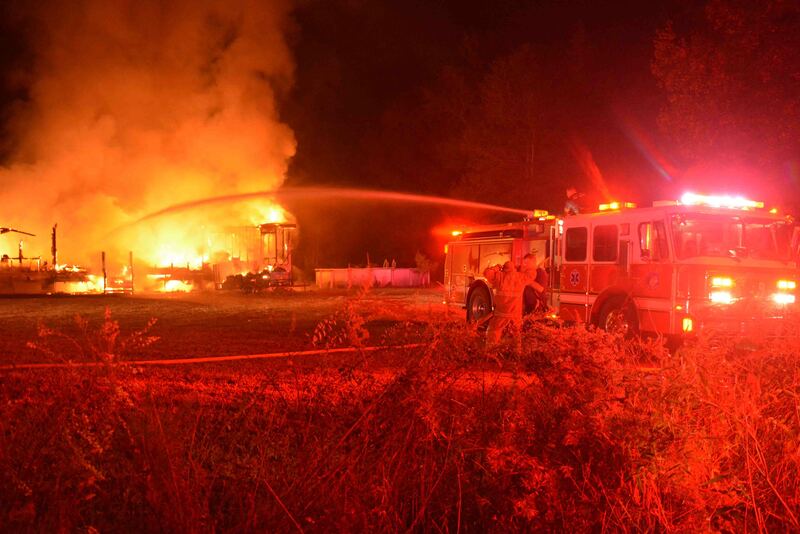 One large storage building was destroyed and two others were damaged by a fire that occurred Thursday evening 20-November. Fire-Rescue responded to 1033 Wisteria Drive at 22:07 and found one building well involved and a second partially involved. Crews deployed two handlines to extinguish the fire. The nearby residence was not damaged. Click here for more information. 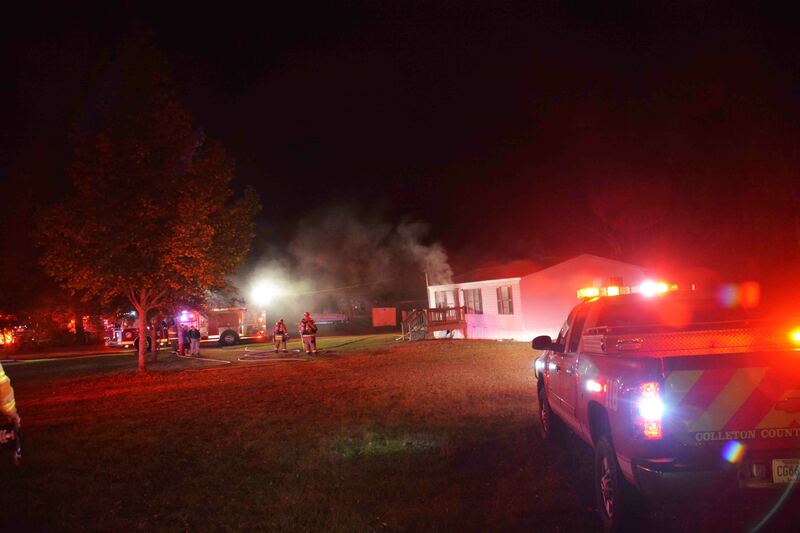 A Cottageville home was heavily damaged in an early morning fire Wednesday morning 19-November. At 02:59, 9-1-1 was notified of the fire in the roof of a single family dwelling located at 18 Locomotive Lane north of Cottageville. Engine 9 arrived to find heavy smoke conditions from the doublewide mobile home with flames visible from the rear of the structure. Click here for more information. 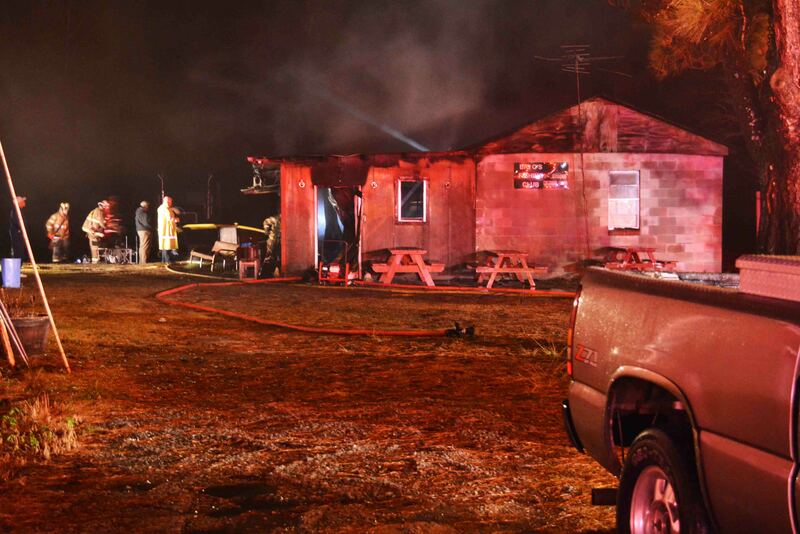 A Round O family lost their home to an early morning fire Thursday 13-November. 9-1-1 received the first reports of the fire at 02:26, when a caller reported heavy flames from a doublewide mobile home. Sheriff’s Deputies were the first to arrive and they reported the home had already collapsed. Engine 9 arrived seven minutes later to find the fully involved dwelling with the roof already burned away. Click here for more information. 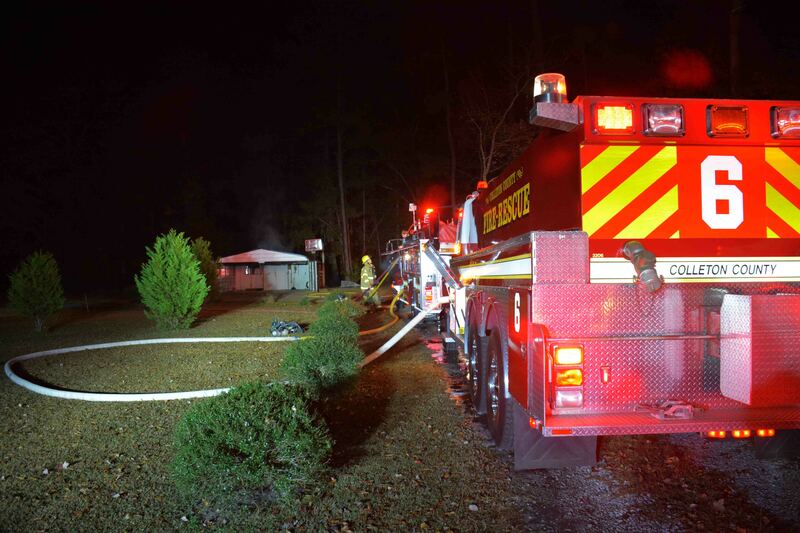 Colleton Firefighters saved a doublewide mobile home Monday evening 10-Nov. At 21:32, 9-1-1 received a report of the fire at 244 Davis Circle off of Peniel Road. Firefighters arrived to find heavy smoke conditions with flames at the rear of the home. Crews made entry into the front door and found fire in the master bedroom. Firefighters initially encountered flames spreading across the ceiling. Click here for more information. The 2015 Departmental Calendar has been released. It is always available from the information links at the left of the website main page or click here to view the calendar. A 42 year old man received multiple traumatic injuries after his vehicle left the roadway and overturned Saturday evening 08-Novmeber. The north bound Chevrolet Lumina was traveling at a high rate of speed when it failed to negotiate a turn at Burlington Road. The car took down several signs before entering the woods and overturning, trapping the driver in the wreckage. Click here for more information. 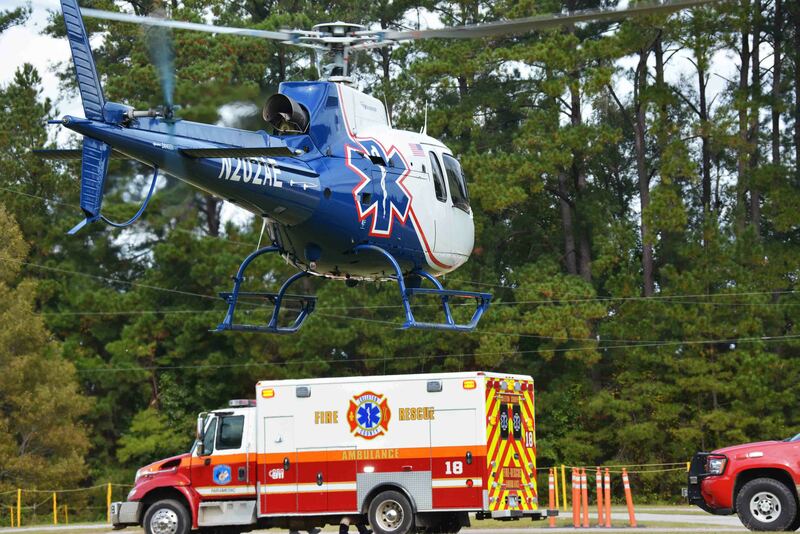 A high speed head on collision resulted in two adult females receiving multiple traumatic injuries and one was flown to the Trauma Center. 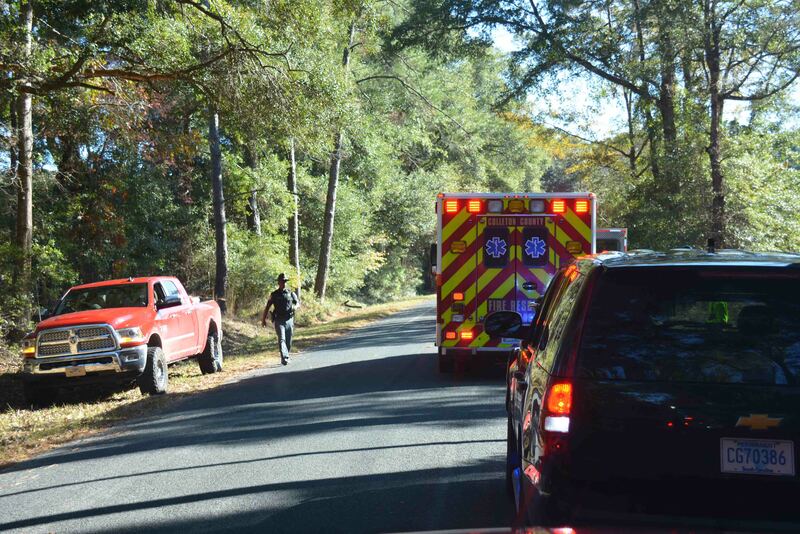 At 17:05 Saturday afternoon 08-November, Fire-Rescue was notified of the accident on Bells Hwy (SC Hwy 64) just west of McClure Lane. An east bound Honda Accord collided with a west bound Dodge Dakota resulting in heavy damage to both vehicles. Click here for more information. A 63 year old man was severely injured in a farming accident after his arm was caught in a corn picker implement. The accident was reported at 11:24 advising the man was trapped in the farm implement and was in a field off of the 20000 blk of Lowcountry Highway south of Ruffin. Medic 18 and Engine 18 were met near the location and escorted to the scene by person in another vehicle. Click here for more information. 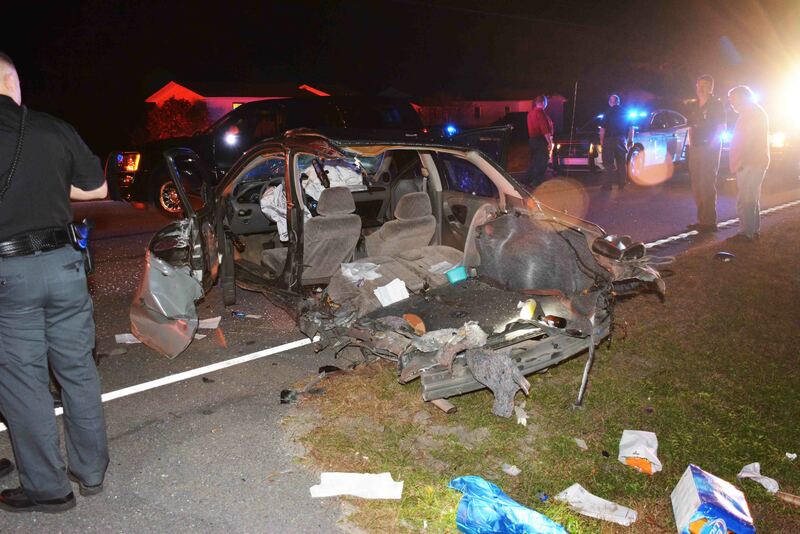 Four people were injured in a two vehicle high speed collision at the intersection of Sidneys Road and Welch Creek Road Tuesday evening 4-November at 18:51. Callers to 9-1-1 reported two vehicles were racing north on Sidneys Road when one pickup truck that was traveling at a high rate of speed struck a small passenger car in the driver’s side, as it pulled out of Welch Creek Road. The back of the car was completely separated and was found in a nearby yard. Click here for more information. 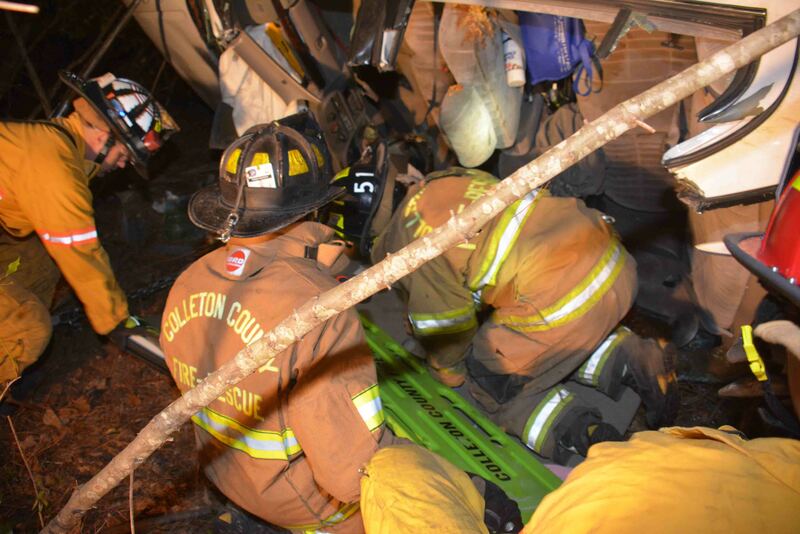 Colleton County Fire-Rescue hosted the second annual Lowcountry Fire and EMS Weekend Saturday and Sunday, November 1 and 2. 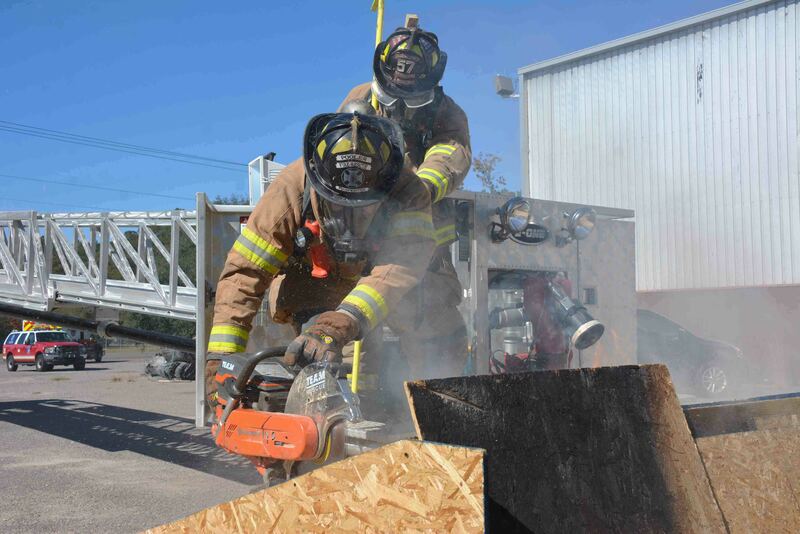 Over 150 Firefighters, mostly from South Carolina and Georgia participated, however some participants traveled from Pennsylvania, New Jersey and New York to take or assist in the training. Both days were packed with training opportunities for Firefighters and EMTs/Paramedics. Click here for more information. 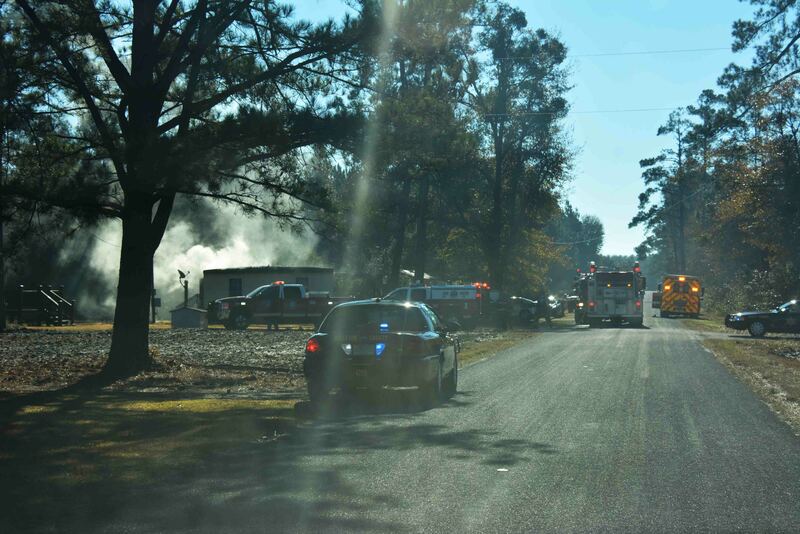 Colleton County Firefighters saved a triple wide mobile home located at 624 Roadside Drive south of Hendersonville Saturday afternoon 01-Nov. At 15:51, a caller to 9-1-1 reported seeing smoke coming from the residence. Engine 13 arrived minutes later to find heavy smoke conditions. Crews deployed two handlines and Firefighters entered the home. Click here for more information.